June 2016 will be our sixth trip to Newfoundland. One of the defining features of almost every community is the white wooden church. I realized over our trips, we had several photos of churches, many in beautiful locations. We have not been very good about recording the names. On future trips, we'll start keeping better records and take some more church photos. Margaree and Fox Roost is the first community you come to driving east from Port aux Basques on the south coast. The two little communities are right beside each other. The church is on the road that connects the two towns. Precious Blood R.C. 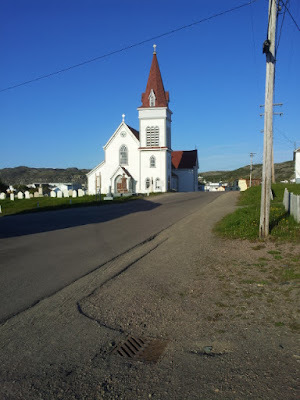 Church is in the Codroy Valley community Saint Andrews. The church was built in 1912 by local carpenters. Saint Andrews can be very windy, It is just down the road from Wreckhouse. 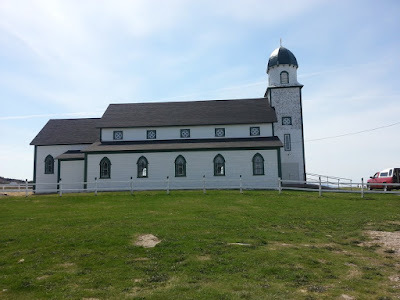 Holy Trinity Church is in a stunning location in Codroy, just down the road from Cape Anguille. That would make this the western-most church on the island. 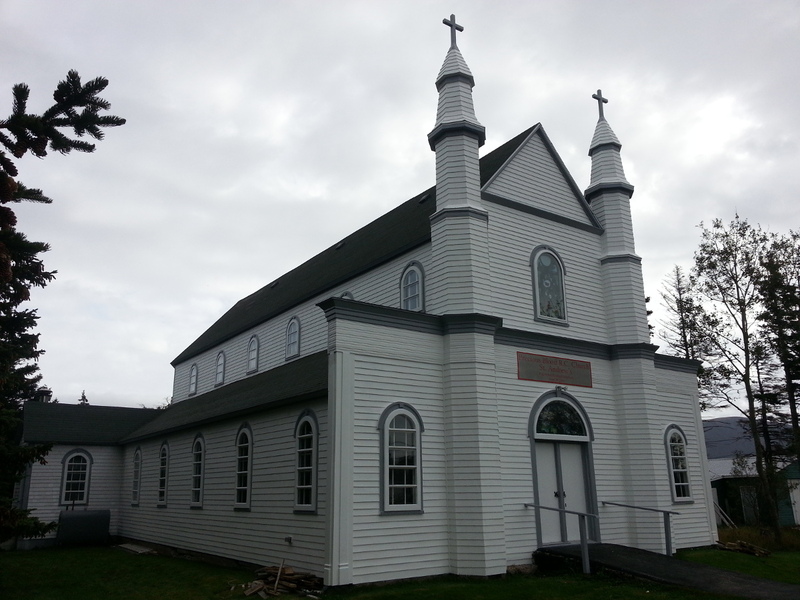 This Anglican church was rebuilt in 1913 after the original was destroyed in a wind storm. 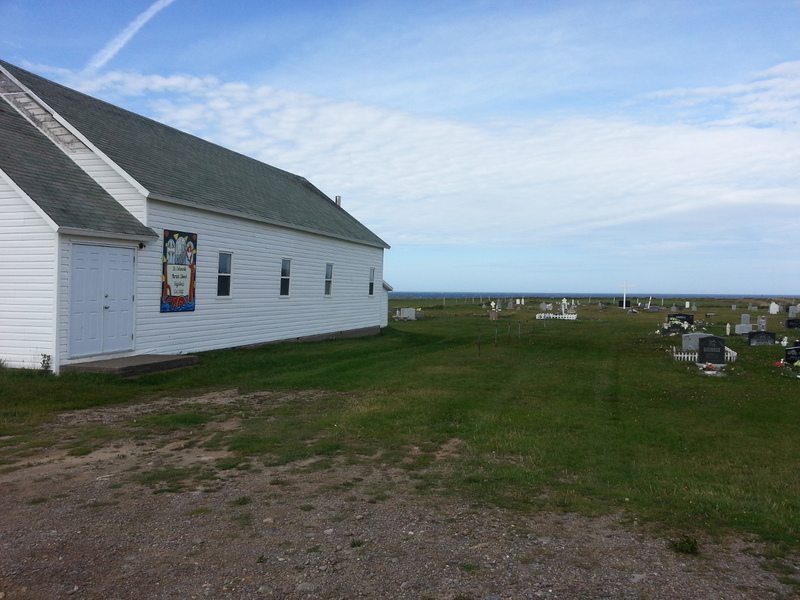 This little church and cemetery is right on the coast of Bay St. George. Highlands is about halfway up the coast between Codroy and the Port-au-Port Peninsula. Our Lady of Mercy is the largest wooden Catholic church in the province. Construction took 11 years and was completed in 1925. Local men donated 1 week of labour per year to complete the project. If you drive up the coast to Point au Mal, you'll be treated to a view of the church across the bay on your return trip. 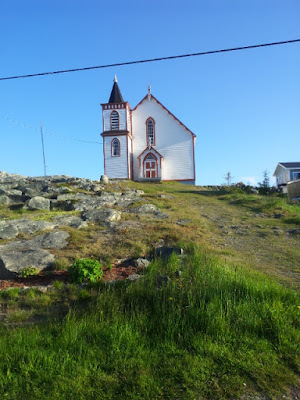 Burlington is on the Baie Verte Peninsula and you'll find this little white church on your left as you drive into town. 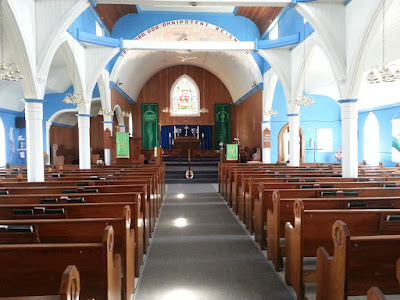 The Fogo United church is now a museum. The church was originally Methodist and dates back to 1877. The red steeple of St. Andrew's Anglican Church is a prominent feature in the Town of Fogo. A walk through the cemetery takes you through the history of Fogo. There are only 300 people living on Change Islands. There are four churches. In Twillingate, the first thing that you will notice is the cross on the hill overlooking town. It's a great hike up to the cross and you are awarded a spectacular view of Twillingate.